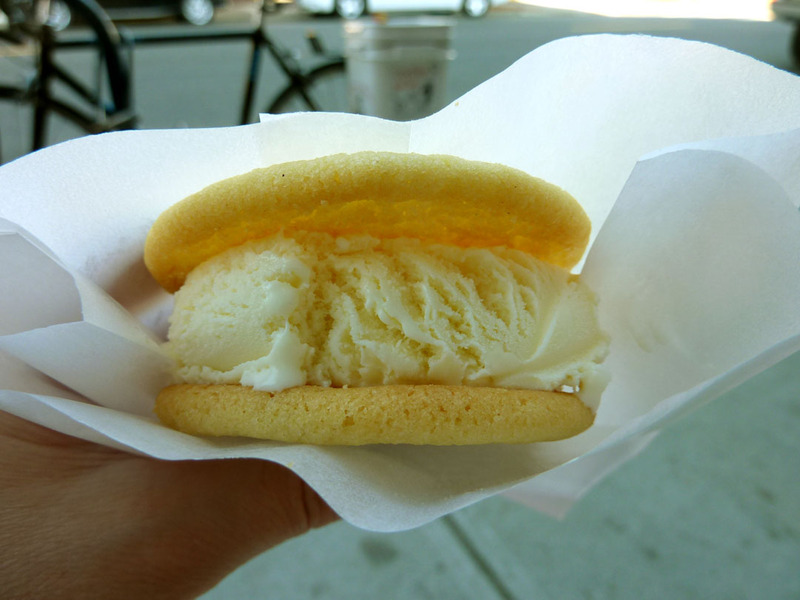 I hope you saw my retweet on twitter yesterday about the $1 ice cream sandwiches at Ruby Jewel. We had been planning a trip to The Rebuilding Center for a while so it didn’t take much convincing, once I saw the tweet from Edible Portland, to head up to Mississippi Ave. We were looking for some hardware for a kitchen Rob has been building for Henrik. He needed some drawer pulls. He actually only needed one to go with the other two he already had. 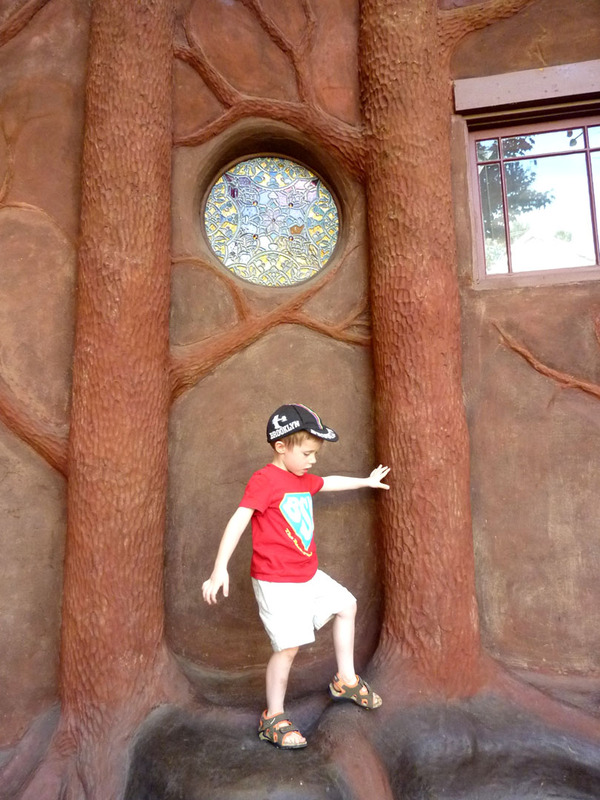 Henrik had fun playing in the trees at The Rebuilding Center. 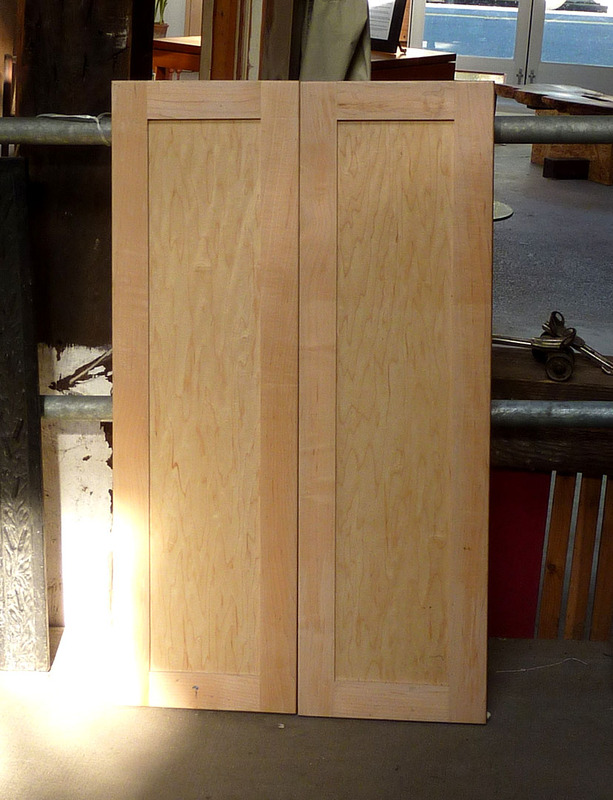 I found these cupboard fronts. They are solid wood and were $2 each. I want to make (I will design—Rob will build) a small wall cabinet for our bathroom. I really want to clear the clutter off the bathroom sink, but we lack useable and accessible storage. So, now we have the materials, I will post the results when we get around to it. And now for the ice cream….I love Ruby Jewel ice cream. Well, all I can really say is that I love Ruby Jewel’s Honey Lavender ice cream. I haven’t actually made it past the Honey Lavender to try any other flavors. It is truly exquisite. We have only shared a few ice cream sandwiches because they fall into the “luxury” category of our current budget. $1 each for mini sandwiches was definitely in our budget. Henrik was so excited to get to hold his very own. We all had Honey Lavender ice cream. Henrik and I had ours with lemon cookies and Rob had double chocolate. We then went home for dinner, which was a bit anticlimactic. 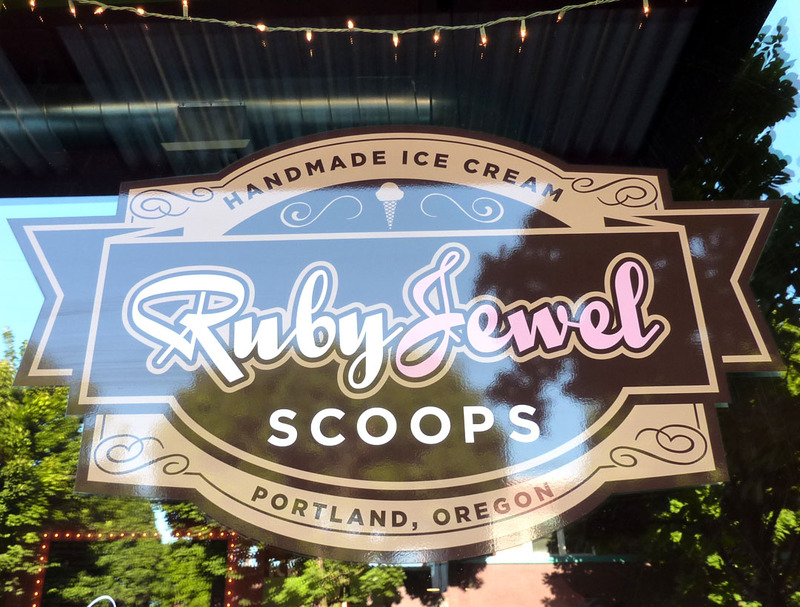 Congratulations to Ruby Jewel on their new Scoop Shop. The interior colors are very cool and I was excited to see their sign announcing that they used YOLO Colorhouse paint. 5 gallon pails of YOLO exterior paint are on sale at Ecohaus right now. That is an amazing deal! We painted our last two houses with YOLO interior paint. The colors are beautiful and you don’t have to move out while you paint! I hope you made it to Ruby Jewel to enjoy an ice cream sandwich too. If not, pick one up at the store or, even better, go to the Scoop Shop for a fresh one. Thank you to Ruby Jewel for creating their delicious Honey Lavender ice cream—the more lavender for the world to enjoy the better. This entry was posted in Environment, Family, Food, Local, Upcycle. Bookmark the permalink. 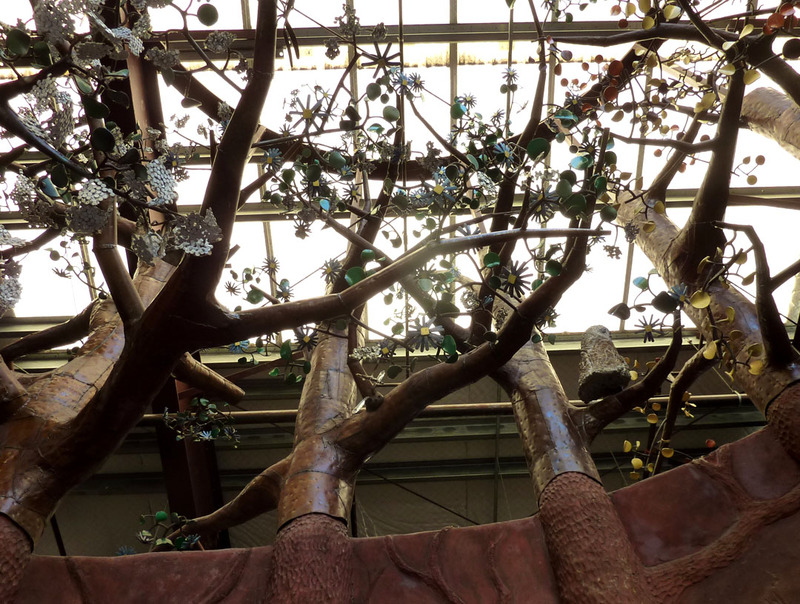 This entry was posted in Environment, Family, Food, Local, Uncategorized, Upcycle. Bookmark the permalink.